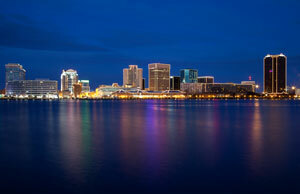 Norfolk is the second largest city in Virginia behind Virginia Beach and is home to nearly 250,000 people. There are a large number of neighborhoods dividing up the city allowing for specialized out-of-home advertising to target your audience. Neighborhoods like Berkley, Downtown, Ghent and Ocean View are just some examples of the areas available with effective advertising opportunities. Tourist destinations like the Chrysler Museum of Art draw thousands of visitors to the city every year allowing for billboards and other outdoor advertising near these venues to get high traffic exposure of your business. The major highways that service Norfolk can also be used for effective advertising. Billboards on I-64, U.S. Route 68 or U.S. Route 60 would also yield potential growth of your business. Zip Codes: 23501, 23502, 23503, 23504, 23505, 23506, 23507, 23508, 23509, 23510, 23511, 23512, 23513, 23514, 23515, 23517, 23518, 23519, 23520, 23521, 23523, 23529, 23530, 23541, 23551.